One excellent strategy for getting a better understanding of our doctoral program is to know more about our faculty, our recent graduates, and our current students. These lists of students include a mixture of our face-to-face and hybrid students. Jennifer A. Schmidt is an associate professor of educational psychology and director of the EPET program. She is broadly interested in adolescent motivation and engagement in learning contexts, both inside and outside of school. She studies how multiple dimensions of student experience fluctuate with the changing features of learning environments, particularly in the contexts of STEM learning. Email Web University of California, Berkeley John Bell is director of the CEPSE/COE Design Studio and professor of educational technology. Prior to this work, he served as course designer and director of instructor development for the Educational Technology Certificate Program for many years. He has been involved in a variety of teaching and service work internationally. His current research interest is focused on distance collaboration and learning through the embodiment of people and content. In particular, he is studying robotic telepresence for synchronous hybrid academic settings as well as augmented reality in support of spatial reasoning abilities. Email Web Ph.D., Michigan State University Emily Bouck’s research focuses on improving outcomes of secondary students with high-incidence disabilities through advances in two strands of scholarship: standard academic curricula (i.e., mathematics) and functional curricula. Within these strands is a focus on how technology can support students with disabilities in accessing and achieving in both curricula, and translating success to post-school experiences. 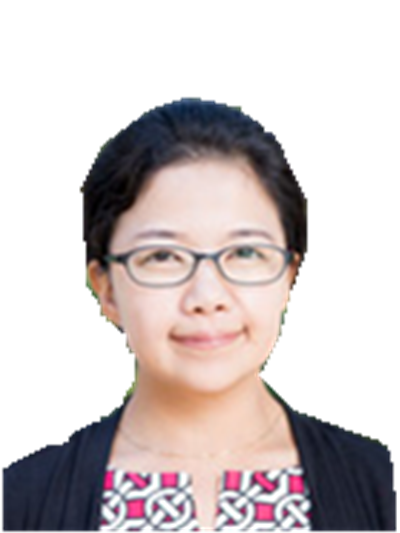 Email Web Ph.D., Michigan State University Yi-Ling Cheng is an assistant professor (fixed term) of Educational Psychology. She received a dual major PhD in both the Educational Psychology and Educational Technology program and in the Measurement, Quantitative Methods program, with a cognitive science specialization from Michigan State University. 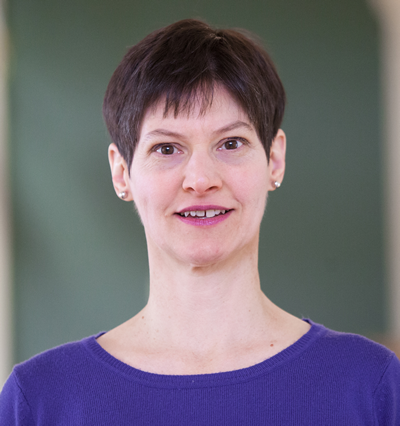 Her research interests focus on the diagnostic testing and training of children’s cognitive abilities from the perspective of item response theory approach (IRT), and specifically on the way that it informs the relationship between spatial abilities and mathematical achievements. 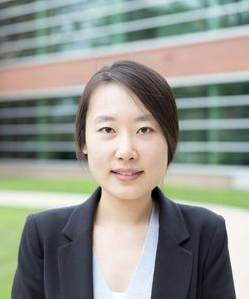 Email Web Ph.D., Vanderbilt University Eunsoo Cho’s research focuses on statistical modeling of reading development in students with or at-risk for having learning disabilities, including students from language minority backgrounds. Her research has two strands: First, she is interested in developing and validating assessment methods to accurately identify students with learning disabilities within a multitiered support system, such as response to intervention (RTI). Second, her research focuses on understanding psychological and motivational processes involved in learning. She intends to develop a motivation intervention that can be combined with reading instruction for students with persistent reading difficulties. One of her co-authored articles in Reading Research Quarterly received the 2015 Albert J. Harris Award from the International Literacy Association. In 2016, she received the Samuel Kirk Award for best research article from the Division of Learning Disabilities of the Council for Exceptional Children. She is also a faculty affiliate in the Educational Psychology program. Email Web Ph.D., Stanford University Robert Floden is dean of the College of Education. 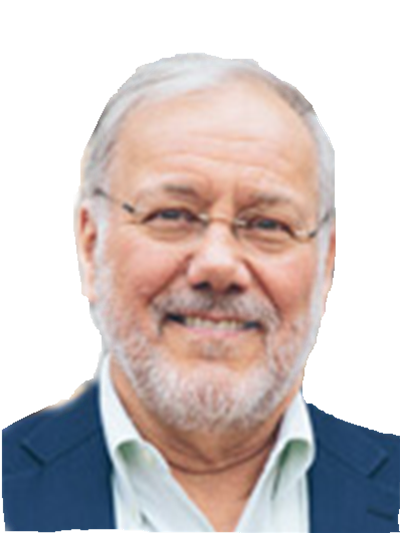 Floden is also a University Distinguished Professor of teacher education, measurement and quantitative methods, mathematics education, educational psychology and educational policy. He has studied teacher education and other influences on teaching and learning, including work on the cultures of teaching, teacher development, the character and effects of teacher education and how policy is linked to classroom practice. He is a member of the National Academy of Education, for which he serves as Secretary-Treasurer. He is co-editor of the Journal of Teacher Education and serves on the Board of Directors for the American Association of Colleges for Teacher Education. Christine Greenhow is an associate professor of educational psychology and educational technology. Her research focuses on learning in social media contexts such as online social networks, from learning sciences, learning technologies and new literacy studies perspectives, and with the goal of improving theory, practice and policy. Her work aims to increase our understanding of the intellectual and social practices occurring in online, popular culture-inspired environments, analyze how those practices align, contradict or herald strategies, skills and dispositions valued in formal education, and use these insights to design more engaging spaces for learning. Email Web Ph.D., University of Illinois Urbana-Champaign Douglas Hartman is a professor of literacy and technology with appointments in Teacher Education and Educational Psychology. He serves as co-director of the Literacy Achievement Research Center (LARC) and coordinator of the Literacy Studies program. His research interests focus on new literacies, adolescent literacy, and the history of literacy. Email Web Ph.D., University of Wisconsin Matthew J. Koehler is a professor of Educational Psychology and Educational Technology at the College of Education at Michigan State University. His work explores the pedagogical affordances (and constraints) of newer technologies for learning, the development and refinement of the Technological Pedagogical and Content Knowledge (TPACK) framework, and digital research methods for studying educational processes in social media and digital spaces. You can learn more about his work at www.matt-koehler.com. Email Ph.D., Rensselaer Polytechnic Institute Michael Lachney is an assistant professor of educational technology. With expertise in qualitative social science methods, he is interested in the role that technologies can play in strengthening school-community relationships. He is currently working on educational technology design strategies and implementation tactics to help teachers enroll community-based expertise in culturally responsive STEM education. In addition, Michael's work aims to show how STEM can make contributions to everyday anti-racism in schools, with specific attention to engineering and computer science. His work has appeared in the journals Learning, Media and Technology, Computer Science Education, Computational Culture and more. Email Web Ph.D., University of Michigan Lisa Linnenbrink-Garcia is a professor in the Department of Counseling, Educational Psychology and Special Education (CEPSE). Linnenbrink-Garcia’s research focuses on the development of achievement motivation in school settings and the interplay among motivation, emotions and learning, especially in science and mathematics. Email Web Ph.D., University of Michigan Evelyn Oka is an associate professor of school psychology and serves as director of the school psychology program. Her research interests include the development of self-regulated learning during childhood and early adolescence, particularly among students with learning problems. With teachers in a professional development school, she is studying the learning and motivation of general and special education students in an inclusion classroom. Email Web Ph.D., Indiana University Cynthia Okolo is a professor of special education. Her research focuses on improving academic outcomes for students with disabilities through the integration of technology into the classroom. She also studies how Universal Design for Learning (UDL)-aligned instructional practices can improve learning and behavior. Her current projects involve the development of literacy tools and strategies for using digital reading materials and teacher preparation for the implementation of UDL. Most of her work has been conducted in middle and high schools and in diverse classrooms that include students with and without disabilities. She is Past President and Professional Development Co-Chair of the Technology and Media Division of the Council for Exceptional Children. Ralph Putnam is an associate professor of educational psychology whose research focuses on the cognitively oriented study of classroom teaching and learning and role of technology in learning. His recent research examines the teaching and learning of mathematics in elementary school classrooms, especially the knowledge and beliefs of mathematics teachers, and the different ways that students learn about mathematics from various kinds of instruction. Email Web Ph.D., University of Southern California Rabindra Ratan is an assistant professor of media psychology and social media use. He is interested in the effects of avatar characteristics and mediated social interaction on learning in video games. 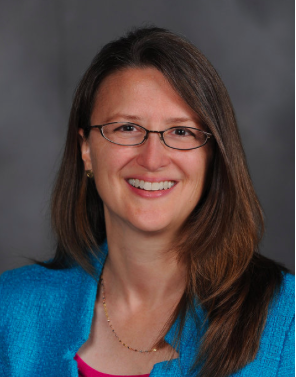 Email Web Ph.D., University of Minnesota Cary Roseth is chairperson of the Department of Counseling, Educational Psychology and Special Education and is a professor of educational psychology. He is interested in social development, peer relations and social contextual influences on classroom achievement. His research focuses on the development of conflict resolution in early childhood and on the effects of cooperation, competition, and individualistic goal structures on children’s academic achievement and peer relations. Email Web Videos Ph.D., University of California-Berkeley John (Jack) P. Smith is a professor of educational psychology. His research concerns the nature of people’s learning of mathematics in school and other settings. His interests include the relation of epistemology to learning, the role of intuitive understanding in learning mathematics and science, the design of advanced technology for learning mathematics, and the nature of teaching mathematics. Email Web Ph.D., Pennsylvania State University Rand Spiro is a professor of educational psychology and educational technology. His research concerns new modes of learning with technology to promote what are often called “21st century skills,” especially the ability to deal with novelty in an increasingly complex and rapidly changing world. Spiro’s theory, applied in his research, is “Cognitive Flexibility Theory,” which provides a highly specified approach to the use of technology for the development of the ability to respond adaptively to new, real-world situations (instead of relying on pre-stored templates in memory). His research areas include deep and open learning on the Web, instructional hypermedia systems to promote the attainment of high proficiency learning goals, knowledge acquisition in complex subject areas, new literacies and new forms of reading comprehension in the online world, case-based learning with technology for independent knowledge application in non-routine situations in the professions (e.g., teaching; medicine), expertise and acceleration in the development of expertise, assessment of 21st century skills, and learning in areas of grand social challenge (e.g., climate change). David Wong is an associate professor of educational psychology. He is interested in global education with a particular focus on how learning abroad experiences can foster student development. He is also interested in motivation, especially in what educators can learn from fields such as music, film, art, and architecture to create compelling experiences for their students. Finally, he has broad interests in the field of science education, urban education, the design of online instruction, and educational philosophy. Email Web Ph.D., Michigan State University Aman Yadav is a professor of educational psychology and educational technology. He is interested in helping teachers to embed computational thinking practices and computing in the classroom. He is working to establish an evidence-based professional development program, including continuous online support, to improve teachers’ knowledge to teach computing concepts at the high school level. In addition, his research focuses on developing an understanding of problem-based learning (PBL) and case-based instruction (CBI) in STEM disciplines, with a specific focus on engineering education. Binbin Zheng is an assistant professor in the Office of Medical Education Research and Development at Michigan State University. Her research interests include emerging technologies and learning, online education, and educational program evaluations. Her current research focuses on self-regulated learning and technology use in medical education. Diana works with Charleston Southern to support faculty in online, hybrid, and face-to-face teaching. Her research interests include technology integration in both K-12 and higher education settings. I will be providing consulting services and professional development in evaluation, assessment, and research to the local school districts in Oakland County. I expect I will continue to be involved with computer science education and computational thinking research. I teach for the Information Communication Technology bachelor’s and master’s programs and the Library Science master’s program in the UK School of Information Science, including courses on information literacy and serious games. I focus my research on how digital technologies allow for the creation of both new kinds of learning communities and new kinds of research methods for studying those communities. For example, my most recent publication is on the use of digital geolocation methods to study educational hashtags on Twitter. I am an Assistant Professor of STEM Education at the University of Tennessee. I research and teach about STEM education, particularly science education and educational technology. I have recently author or co-authored articles in venues such as the Journal of Research in Science Teaching, the International Journal of Educational Research, and the Journal of Technology and Teacher Education. Henriksen, D., Richardson, C. & Mehta, R. (2017). Design thinking: A creative approach to educational problems of practice. Thinking Skills and Creativity, 26, 140-153. https://doi.org/10.1016/j.tsc.2017.10.001. William is a doctoral student, teacher, & web developer with experience in 3 countries (USA, Taiwan, and Mexico). William's research interests are in multimodal teaching analytics. More specifically, he is interested in the automation of data collection, processing, and then representation of teacher actions and decisions in the classroom in order to facilitate self-study and improve one's own teaching practice. Matt Drazin is a doctoral student in the Educational Psychology and Educational Technology (EPET) program at Michigan State University. His current research interests lie in the realm between community, technology, and education. Having an undergraduate degree in computer science from Michigan State University he looks forward to being able to leverage those experiences into this new area. As an educational coach in a middle school Kyle is interested in the intersection of equity, technology and project-based learning. She is interested in how students can use technology to create authentic products that solve a problem in their community and the results a learning experience of this nature have on students. She is particularly interested in the impact on students’ self-perceptions and teacher perceptions of students. Within the context of higher education, Monaca’s research interest is focused on the new media literacy skills social work educators and students need to provide ethical, competent and engaged social work practice in the digital age. She is interested in understanding the role social media plays in formal and informal adult learning, as well as ways in which social media can be used to inspire, empower and connect, all for the promotion of human and community well-being. She currently is the Associate Director for Teaching and Instruction and a senior clinical instructor at the School of Social Work at Michigan State University and a doctoral student in the Educational Psychology and Educational Technology program in the College of Education. Monaca was an Adam’s Academy Fellow for Innovation in Teaching and Learning and teaches courses at both the undergraduate and graduate level infused with technology and social media. In addition to being a PhD student, Katie Green is the Academic Degree Programs Coordinator for the Department of Environmental Sciences at Emory University in Atlanta, GA. She also received her B.A. from Emory (English Literature and German Studies) and, more recently, earned an M.Ed. (Higher Education Administration) from Georgia Southern University. Her research focuses on Universal Design for Learning (UDL), and how UDL-aligned practices may enhance the experience and educational achievement of diverse learners, specifically within the context of higher education. I am an educational psychology graduate student in the Department of Counseling, Educational Psychology, and Special Education at Michigan State University (MSU). I am broadly interested in how racial/ethnic group diversity affects achievement. To understand this relationship, my research focuses on the social-psychological processes underpinning achievement motivation specifically self/collective efficacy and cooperation (social interdependence). My research is informed by my experiences as a teacher, in a variety of cultural contexts, prior to coming to MSU. I have taught in Thailand, Singapore, rural Mississippi, and Denver, CO. Additionally, my experience as a student during school busing was transformative and led to my focus on how school contexts that vary in racial/ethnic diversity impact student motivation. Based in Southern California, his research is centered on faculty engagement and its relationship with student learning and engagement. His work and research also focuses on the efficacy of active learning in alternative learning modalities. From California to Michigan, Vicky is interested in shaping students’ interest and experience in STEM through designing an engaging and effective learning environment. She earned a B.A. in Psychology and during her undergraduate years, she was involved in understanding the motivating factors of students pursuing STEM. Her connection to teachers and professors inspires her to be an educator and to keep on growing as a student. I am currently an Educational Psychology and Educational Technology (EPET) Ph.D student at Michigan State University. My undergraduate degree is in special education, while my master's is in Educational Leadership. My teaching experiences have been predominately in low income, urban educational settings, which has driven my curiosity around what makes for a successful and positive experience in those settings. I am interested in educational research topics that promote a greater experience of justice and equity in the classroom, with a particular interest in studying the impact of social interdependence and cooperative learning on students of colors as it pertains to interest in mathematics. Kimberly came to the EPET program after teaching psychology and theory of knowledge at an international school in Quito, Ecuador. She has a B.S. in psychology and history from Central Michigan University and an M.A. in Educational studies from the University of Michigan. She is interested broadly in understanding the relationship between students' actual experiences and their remembered experiences and how this affects their motivation. Sarah comes to MSU's EPET program with a BS in English Literature and Music Performance and a Master of the Arts in Teaching degree from Frostburg State University. After working as a high school English teacher, she became interested in how social media was impacting her students. Sarah's current focus is on the intersection of social media with identity and literacy. She aims to investigate the relationships between students' identity performance and growth on social media, their use of new literacies while writing on social media, and how this translates to their use of traditional literacies while writing in the classroom. Ultimately, her goal is to help uncover how student learning, particularly writing development, is affected by the ubiquitous role social media plays in adolescents' lives. I am primarily interested in active-learning strategies and instructor-facilitated student cooperation in engineering education. I am also interested in peer and social interactions and feedback reliability on social media. My background is in engineering and educational technology. 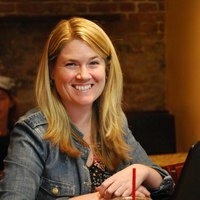 Katie joined the EPET program after ten years as a curriculum developer at the University of Chicago. Her work there focused primarily on development and testing of Everyday Mathematics, a PreK-5 mathematics curriculum program. She is interested broadly in the use of technology in elementary mathematics education. From the student perspective, she is interested in exploring how dynamic representations and manipulatives can support conceptual development, and how integration of computational thinking concepts into mathematics curricula can promote readiness for computer science education in later grades. From the teacher perspective, she is interested in exploring how digital delivery of curriculum materials can support teachers in making productive adaptations for their particular contexts. Krystal is interested in understanding reasons for attrition in STEM education among underrepresented racial/ethnic minorities and women. Specifically, she is interested in the intersection between motivation interventions and mentoring on STEM persistence. Krystal comes to Michigan State University from Los Angeles, California and has a B.A. in Psychology. Matthew came to the EPET program after 3 years teaching science at a virtual high school in Michigan. He has a BA in Physiology from the University of Colorado, and a BS in Secondary Education from Western Michigan University. He is currently interested in studying student engagement in online and virtual environments, and in how technology impacts student engagement in physical classroom spaces. He is also interested in how, or if, synchronous and asynchronous measures of student engagement align when measured in online settings. I am a Grand Rapids, MI native and come to MSU from The University of Michigan where I received a Bachelor’s in Psychology. My academic career before graduate studies included work in developmental and educational psychology laboratories where I investigated educational implications of research regarding topics such as cellphone distractions and first impressions. My current research interests concern how learner epistemic beliefs influence strategies of obtaining and organizing knowledge found in random access media as well as how the affordances of random access media influence how these beliefs are conceptualized. Ying is a PhD student in Educational Psychology and Educational Technology at Michigan State University, a lecturer of Chinese at the University of Vermont, and sometimes, a robot on MSU campus. Originally from China, Ying got her Master’s degree in Second Language Studies at the University of Hawai’i at Manoa, where she was actively engaged in language learning in 3D virtual worlds. This research interest further extends to her PhD studies. She is interested in the pedagogical affordance and constraints of technology in foreign language learning. More specifically, she explores learner engagement in online/hybrid language classes, pragmatics in technology-enriched foreign language learning environment, embodied language learning in 3D virtual environments. Paul joins the EPET program after 20 years as a teacher, instructional coach, workshop presenter, and designer of mathematics programs at the K-12 level. His research focuses on the work of teaching, with an emphasis on how teachers of mathematics develop knowledge, beliefs, identity, and practice in the context of their work. He is particularly interested in factors that support teachers' learning and enactment of mathematical teaching practices, and in the ways school culture and policy can support teacher change. To this end, he studies the design and outcomes of professional learning for teachers that is situated within their communities of work. Jessica Sprick is an educational consultant who works with schools and districts to develop and implement multi-tiered prevention and intervention approaches to address behavioral and attendance concerns in K–12 settings. She is a former special education teacher for students with severe emotional and behavioral difficulties and Dean of Students at the middle school level. Jessica's research interest is focused on the prevalence and impacts of student absenteeism on students who are identified for special education. She is also interested in exploring how educational technology can be utilized for a variety of interventions with students who have chronic attendance concerns. Bret is interested in affinity spaces and social capital. More specifically, he is interested in the extent to which digital affinity spaces (e.g. online videogames, Twitter hashtags, fan forums, podcasts, and YouTube channels) afford and constrain bridging social capital (weak ties across diverse networks) among youth and young adults. Bret is also the Ministry in Digital Spaces Director for InterVarsity Christian Fellowship/USA, building a team of staff and volunteers physically located all over the United States but gathered online to figure out what ministry looks like there. He is an avid gamer motivated by exploration and social connection, primarily in Elder Scrolls Online but in many independent games as well. His favorite bit of digital street cred is that he still keeps in touch with his first online friend, from AOL in the early 90s. Find him online at http://bretsw.com. Anna is interested in how participation in certain technology-driven activities impacts student motivation and achievement in science classes. Specifically, she would like to learn how connecting with other students in geographically disparate locations enhances student learning over shared but separate experiences. She has a BA in environmental science, an MAT in secondary science teaching, an MS in instructional design and technology, and teaches math, science, and social studies for the Department of Defense Dependents Schools (DoDDS) overseas. Shawn is fascinated by the way in which informal learning transpires in social media, and wants to examine if mapping those learning networks can be leveraged to improve traditional educational experiences. He is also intrigued by the opportunities presented by new technological tools such as mixed and augmented reality. Shawn presently serves as the Executive Vice President for Innovation at Concordia University in Portland, Oregon, where he also is an associate professor of teacher education. Phil Sands is interested in the area of computer science education and issues of broadening participation. Specifically,he is interested in leveraging online environments to reduce the impact of issues of classroom identity on underrepresented student groups. In addition to his research, he currently works in K-12 Outreach for Purdue University in the Department of Computer Science. Previously, he spent seven years teaching statistics and computer science to high school students in Michigan and Maryland. Eileen has been teaching mathematics for 12 years, and has also taught art. She has a BA in Philosophy, an MFA in Painting, and an ALM in Mathematics for Teaching. She is interested in creating and facilitating learning experience that promote deeper understanding in the domain of mathematics--specifically through discourse. Certain affordances and constraints of face-to-face discourse have led her to explore the use of dynamic mathematics software and Google docs as a venue through which students can target their understanding, by increasing the demand on their language acquisition in synchronous, online discourse. After earning his BS from the University of Pittsburgh in Economics, Patrick Beymer taught high school mathematics for three years while earning his MEd in Educational Psychology at North Carolina State University. Patrick’s research aims to address issues of student motivation. He is interested in understanding student judgment and decision-making and how the economics and marketing literature can inform education. He is also interested in examining social processes and contextual factors that influence motivation. Emily is interested in motivation in the university context and in the transition to the working world. Broadly, she studies motivation and decision making in late adolescence and early adulthood, with a particular focus on the academic and social transition to the post-secondary educational environment. She nnnis also interested in the factors that affect retention and degree completion, especially in connection with the initial adjustment process. Her background is in college admissions and recruitment. Ian Clemente currently studies as a third-year doctoral student in Educational Psychology and Educational Technology at Michigan State University, while also working as a graduate assistant in MSU’s Department of Counseling, Educational Psychology and Special Education. His research interests center around education reform, in terms of examining what can be introduced within school contexts to better enable the positive development of K-12 students. This includes examining (a) which sort of classroom features and instructional methods can enable growth on a multi-dimensional scale, not just in terms of cognitive development but also socio-emotional intelligence and critical thinking; (b) the potential benefits of adaptive teaching in addressing students’ individual needs (e.g., being part of a marginalized population, having a disability); and (c) how an individual’s background can shape his or her cognitive processes when addressing real-world situations. Missy Cosby comes to the Educational Psychology/Educational Technology program with over a decade of experience in the secondary mathematics classroom. While working on her doctorate, she continues to work part time as a high school mathematics teacher and instructional coach. Her current research interests are threefold. Broadly, she looks at ways in which technology can be leveraged to aid in student learning of mathematics at the secondary level, particularly for struggling students. The affordances and constraints of the flipped classroom approach to teaching and learning in STEM disciplines is also of interest to her. Additionally, she is interested in work relating to the mathematical identity, understandings, performance, and experiences of students who have traditionally been marginalized in schools with a focus on the African American student experience. 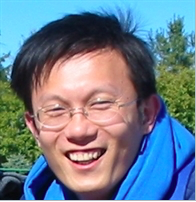 Prior to joining the program in Educational Psychology and Educational Technology at Michigan State University, Ming taught high school chemistry and mathematics, developed standards-based curriculum, and trained teachers to implement project-based learning in blended-model schools. These experiences influenced Ming’s current research interests in how learners form relationships with their peers and their instructors in online settings. Swati entered the doctoral program in Educational Psychology and Educational Technology with a range of experience. Her interests revolve around studying how (and in what ways) the problem-based approach to learning can be used to motivate students, especially underrepresented or marginalized populations, to choose STEM professions. Broadly, she is interested in studying, how can teachers use inquiry-based learning approaches to motivate students to continue to pursue STEM as a profession? Prior to joining Michigan State University, she worked as an educational counselor for an educational consulting firm imparting online motivational and assessment-based sessions to aspiring graduate and undergraduate students seeking admission in foreign universities. Her experiences and skills also emerge from teaching master's students at a management institute in India. After earning his MFA from USC School of Cinema & TV and a BA in Lit from AJU Brian spent five years at Nickelodeon Animation Studios (Spongebob, Hey Arnold! etc.) before plunging into higher education. Serving EDMC as everything from Animation Faculty to Dean of Academic Affairs, Brian is now Lead Faculty for National University's BA in Digital Media Design. Erin Bone is a doctoral student in the Educational Psychology Educational Technology hybrid program. She lives in Iowa and teaches middle school special education and coaches varsity track and cross country. Erin is interested in how the use of technology in the classroom can help adolescents with mild to moderate learning disabilities increase cognitive engagement. A New Jersey native, Amy spent formative years in Boston. While there, she spent ten years as the Director of Faith Formation at St. Ignatius Church in Chestnut Hill, Massachusetts. She will continue her pastoral ministry work as the Director of Youth Ministry at St. Robert Church in Ada, Michigan in August, 2014. Amy is currently pursing a doctorate in Educational Psychology and Education Technology (EPET) from Michigan State University's College of Education. She holds three degrees from Boston College: an A.B. in history and secondary education; an A.M. in Developmental and Educational Psychology; and a C.A.E.S. in Religious Education. My interests lie at the intersection of cognition, new literacies, and education. More particularly, I aim to work on the implementation of Media and Information Literacy materials in schools to foster students' critical thinking in digital environments. Will comes to Michigan State in the midst of a higher education career that includes work in admission, academic advisement, student retention and academic support services. He has been a part of several projects that used data warehouses to inform policy and student support strategies. He earned his B.A. from Boston College and M.A. in Higher and Postsecondary Education from Teachers College, Columbia University. Will’s research interests focus on the use of learning analytics to assess and motivate college students. He is interested in the impact of student performance data on self-efficacy and consciousness. Other interests include institutional assessment measures, predictive modeling, and the effectiveness of early warning systems. Sarah comes to East Lansing and the EPET program most recently from Chicago, where she worked at an hands-on science center, teaching 3 - 5 year olds. She has a Scottish Masters in History from the University of Edinburgh, and while in Chicago attended a Museum Studies certificate program at Northwestern University. She is interested in the development of creativity and critical thinking, exploring the impact of informal learning in different spaces such as museums, and ultimately advancing educational practices to support children struggling in traditional school settings. Haixia was a foreign language teacher in Beijing Normal University Zhuhai Campus before she came to Education Psychology and Education Technology program. Her research interests are computer assisted language learning, foreign language teachers’ technology adoption, language teacher education and mobile learning. She is also interested in the use of robots and virtual games for language learning and teaching. Carmen Richardson is a student in the Educational Psychology and Educational Technology hybrid PhD program at Michigan State University. She lives in Hawai’i and is an Instructional Technology Specialist for Kamehameha Schools. Her research interests include recognizing, encouraging, and supporting creativity in teaching and learning across all disciplines. She is also interested in the role that technology plays in supporting the pedagogy of creative teachers. You can find her online at carmenrichardson.com or on twitter- @edtechcarmen. Kristy is happy to be a part of the EPET because her learning and experiences in psychology and mentoring students in transition piqued her interest in developmental and environmental factors that support motivation for deep learning during the transition to college. 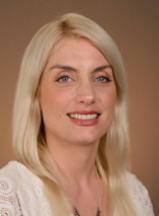 Michelle Ware is joining the 2014 EPET Hybrid Cohort with 10 years of experience in higher education. Since earning her Masters in Counseling Psychology with a concentration in Athletic Counseling in 2004, she has worked in diverse educational settings ranging from high schools to nationally ranked research institutions. She is currently Co-Director of the Balfour-Hesburgh Scholars Program in the First Year of Studies at the University of Notre Dame. Through her research, she hopes to examine identity development, persistence and motivation of underrepresented and first generation students in highly selective educational environments. She is also interested in assessing the effectiveness of using eportfolios as a tool to improve student engagement, achievement and resilience of underrepresented and first generation students. 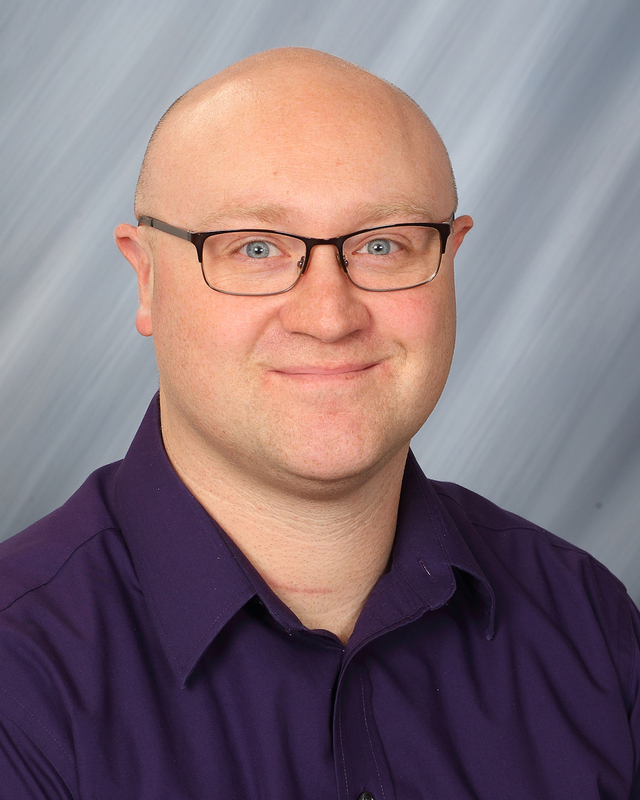 Carl Weckerle currently serves as the Director of Instructional Technology and Online Learning at Macomb Community College, which administers and trains on the use of classroom technologies and the college’s learning management system. His background is in workplace instructional design and K-12 education. His focus is on the effective teaching and learning in and out of the classroom with a focus in online education. His research interest is focused on learning interactions and motivation in online learning. He also has an interest in faculty development and teacher development. He is married with three boys and resides outside of Detroit. Chris has taught third grade for 11 years in Holland, Michigan. He received his Bachelor’s degree from Hope College in Fine Arts/Elementary Education and his Master’s degree from Grand Valley State University in Educational Technology. He is interested in the role technology plays in collaborative learning, specifically in the ways computer supported collaborative learning can support literacy instruction. He is also a Teacher Consultant with the National Writing Project, working especially with digitally mediated composition. For fun he trains with a masters swim team in Holland. Emilia Askari is interested in the intersection of technology, learning and civic engagement. She also is a journalist, a teacher, and the mother of two teens. Before she began her studies at MSU, Emilia spent two decades as a reporter at newspapers such as the Detroit Free Press and the Miami Herald. Over the years, she's won more than 20 prizes and fellowships and served on the national boards of several professional organizations, including the Accrediting Council for Education in Journalism and Mass Communication. Emilia has a bachelor's degree in economics and creative writing from Brown University, a master's degree in journalism from Columbia University, and a master's degree in information studies from the University of Michigan,where she studied human-computer interaction, social media and digital preservation. Emilia co-directs a digital news and entrepreneurship project with Arab American 8th graders in a Dearborn public school. She also has taught environmental journalism at the University of Michigan for a decade and a half. Emilia wants to create a game that will teach digital literacy and content creation in middle schools. She likes camping, travel and people who dream big. During the summer of 2012, Emilia spent a month in Mongolia working with journalists and librarians to preserve news from Mongolian websites before it was lost to history. The digital news project that Emilia co-directs for Arab American 8th graders. Prior to pursuing doctoral study, Liz developed and maintained a complex system of web-based applications for a private university in Ohio. In this role, she became increasingly interested in studying the structure, design, and content of educational technologies -- particularly videogames for learning. She has completed the Serious Games Certificate program at Michigan State, teaches with the MAET program, and is engaged in research on the use of videogames to promote historical empathy. Before coming to MSU, Cui worked as a product manager of online systems and mobile applications for three years in Beijing, China. Her passion for research is on educational technology and cognition, which led her to the EPET program. Currently, she’s interested in utilizing educational technologies, online interactive learning systems in particular, to help learners develop cognitive flexibility. This is a crucial ability to adaptively tackling problems in complex domains. Brittany Dillman joins the Spartans from a wide variety of educational experiences. Brittany attended Kalamazoo College and received her B.A. in mathematics and teacher certification. She spent a year in Japan teaching through the JET program as an English teacher. Brittany spent the 10 years prior to coming to MSU in the role of teaching and teacher leadership at Perry Middle School (Perry, MI), primarily as a 7th grade mathematics teacher. There, she coached, sat on numerous committees, and worked with the theatre program. Brittany got married to her husband, Peter, in 2012. They have 2 cats and live in Haslett. She enjoys HGTV, home decorating, spending time with friends, being outside during the fall in Michigan, and having fun in the journey of life. Day Greenberg is studying what preteens find important in out-of-school explorations of science, technology, engineering and mathematics (STEM). She’s interested in looking at both the social interaction and the personal identity work that can occur in informal STEM learning environments, especially where they intersect with issues of access related to gender, race and socioeconomic status. By exploring these relationships, Day hopes to discover how scaffolding learning experiences outside of the classroom (i.e., in museums, clubs, camps and websites) can support both academic and professional achievement in STEM fields. Publication: Wong, E. D., Pugh, K. J., & Greenberg, D. (2014, April). Charting Dewey's Influence on Contemporary Scholarship in Science Education Journals (1992-2012). Poster session presented at the meeting of the American Educational Research Association, Philadephia, PA.
Spencer Greenhalgh came to Michigan State University with a strong belief in the importance of an education grounded in the humanities. As an undergraduate, he studied French and political science and worked as a teaching assistant in both fields. After graduation, Spencer taught French, debate, and keyboarding in a Utah private school before coming to MSU, where he plans to study how technology can be used to help students connect the humanities with their lives. His research interests focus on using technology to create more authentic learning experiences in courses related to the humanities. He has a particular interest in the use of games and simulations to help students experience history, practice ethical reasoning, and explore moral dilemmas, but Spencer also researches the use of portfolios as authentic assessment and explore any use of technology that helps students connect what they're learning with the world around them. After completing his Master's degree in Electrical Engineering from University of Florida, Rohit Mehta went back to India where he taught in an Engineering college for 3 years. He also gained some experience there in educational counseling and admissions. His interactions with senior year and freshman year students, primarily, and ardent love for cinema, forced him to look for innovative ways to improve teaching standards in India, which brought him to the EPET program at MSU. Rohit is interested in analyzing films, popular culture, and social media to learn how and why they influence content knowledge. Christopher Seals is native of Kentucky and attended the University of Louisville, where he earned both his Bachelors degree majoring in psychology, and his Masters of Education with a concentration in counseling psychology. Throughout his undergraduate career, Chris was a researcher who studied the influence of racial socialization messages on attention skills of early head start preschool students. During his Masters degree, Chris completed several internships including working at an outpatient clinic, a counseling office, and a psychiatric hospital. For the past five years Chris has worked as an admissions program coordinator at his alma mater and helped to start and run several campus programs, including the African American Male Initiative. His experiences gave him great exposure to the issues of retention and access for all students, and especially students of color. Christopher came to MSU with intentions of researching cognitive and non-cognitive factors that influence the retention and academic performance of students from underrepresented backgrounds at public college institutions. The hybrid EPET program has afforded Theresa Grossman the opportunity through research and study to explore the exciting and ever-changing landscape of literacy while continuing to dedicate myself to teaching in the secondary English classroom. Ten years of work with adolescents in the varied settings of alternative school, traditional high school, and community college together with her Master's degree study of literacy convinced her of the relationship of classroom discourse to learning and of the importance of story in closing the gap between marginalized adolescents and their peers. The pursuit of her doctorate has allowed her to investigate the possibilities technology can offer to facilitate that much needed and meaningful discourse. Her research interests focus on the impact of technology on language, discourse, and meaning-making for marginalized adolescents. Specifically, Theresa seeks to understand ways literary fiction and participatory media might be utilized to enhance the critical thinking skills of at-risk adolescents. Laura Hamilton has always loved math and currently teach online math courses for both Macomb Community College and Baker College as an adjunct instructor. She is also involved in course and curriculum development. Although online education may seem new she has been teaching online for 9 years. Laura’s first career however was not in education. She has an engineering degree and has spent time in both manufacturing and in product design. This doctoral program seems to be a perfect blend of her educational and technical interests. Laura is interested in understanding which types of technologies compromise critical thinking (by automating too much) vs. those that enhance critical thinking (interactive methods that prompt learner to think deeper) and how to use those technologies to engage and help students that are not strong in math have a successful experience with mathematics. She is married and has 3 great kids. Her daughter happens to be a proud member of the MSU Spartan Marching Band (GO GREEN - GO WHITE)! Laura lives in Clarkston, MI. Her family keeps her very busy! She spends any extra time she has playing her flute in her local community band. It is great fun! Virgina Hiltz is a member of the 2012 MSU EPET hybrid cohort. Her background is in elementary (K-8) education having served as a classroom teacher, library media specialist, and school administrator in three school settings with differing student demographics. Her research interests focus on how teachers learn to be technologically literate, and how that literacy (or lack of) impacts student learning. She is especially interested in online, self-directed teacher professional development in technology and its connection with building teacher’s technology self-efficacy. Additional interests include 1) the use of technology in the Response to Intervention process and, 2) how transitioning to a paperless environment impacts teaching and learning. Nick Holton is a educator, mentor and coach from Grand Rapids, MI now living and working in the greater Los Angeles area. Since 2009, Nick has taught Sociology and World History courses at Milken Community High School, a private Jewish High School in Bel Air, CA. He also works part time as a educational consultant for Centropa, a NGO in Vienna, Austria dedicated to telling the story of Central and Eastern European Jewry via digital storytelling. Nick's research interests revolve around issues of student happiness. Specifically, he is investigating the extent to which student's happiness is determined by eduaimonic orientations and affected by authentic experiences in educational environments. Nick is currently in 2nd year of the EPET Hybrid program and in the process of completing his practicum. In one of her previous lives, Emiko was a systems analyst: in another, a technical translator on R&D projects. She is currently an adjunct faculty teaching Japanese language and culture in higher ed on- and off-line in beautiful coastal Southern California. At MSU, Emiko plans to focus on games in education and training, and secretly imagine myself playing games with her 13-year-old son and calling it a part of her Ph.D. study. The development in this area is so exciting, and Emiko believes her backgrounds can be very helpful. Kris Knickerbocker has lived in the Lansing (MI) area for all of her life. She comes from a family that has been lovingly dubbed "matriarchal." Her mother, who is now 72, raised all six children on her own and fostered bonds of friendship that are still very much intact in their adult lives. As for the family she has created for myself: Kris has a loving and devoted companion, Andy, and a beautiful 12-year-old son Jake. They spend much of their time vigorously debating social politics, taking crazy adventures together, and discussing the potentiality of a real zombie apocalypse (entirely plausible from a biological standpoint...). Her primary reason for entering the Ph.D. program is the actualization of a lifelong dream. She intends to continue teaching high school Chemistry and Biology at East Lansing High School and will use the experiences and skills she gains to mold herself into the most effective and engaging teacher she can be. 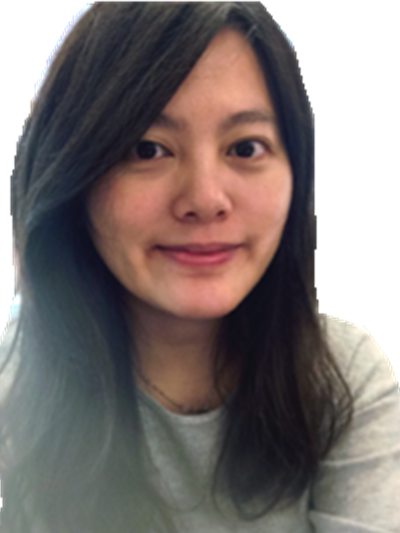 You-kyung Lee is interested in student motivation and personal/social factors influencing it. She earned her B.A. in education from Yonsei University and M.A. in educational psychology from Seoul National University in Korea. Her specific research interest is students’ diverse kinds of goals, not only individual learning goals (e.g., achievement goals) but also contextual goal structures (e.g., classroom goal structures, cooperative/competitive/individualistic goal structures). She is currently working on how these different types of goals interact with each other in learning setting and how various factors impact the interactions. She also focuses on studying psychology and quantitative methods, which qualify her to research student motivation in a deeper and more comprehensive perspective. Holly Marich lives in Ely, Nevada. She’s been an educator in various capacities since graduating from UNLV in 1994. She is a teacher consultant for Great Basin Writing Project and she is a national board certified teacher. Additionally, Holly has two master’s degrees, one in curriculum and instruction with an emphasis in literacy and the other is an M.S. emphasizing elementary mathematics pedagogy. Currently, she works as a professional development coordinator for Northeastern Nevada Regional Professional Development Program. In this role, she works with teachers in five of Nevada’s 17 counties. Holly also works with teachers in both Clark County (Las Vegas) and Washoe County (Reno) through various networking opportunities such as the Teacher Inquiry Community Leadership Network of Nevada. While pursuing her never-ending-journey of learning and exciting career as an educator, she has managed to enjoy a wonderful marriage of 22 years, take pleasure in a busy life filled with three amazing children: Hannah 17, Bobby 15, and Benjamin 12 along with 1 cat, 2 dogs (pugs) and 5 back-yard chickens! When she’s not busy running around the northeastern part of Nevada working with teachers, she loves to watch movies with her family, explore with square-foot gardening, and vacation, preferably on a beach somewhere far away! Amy Peterson is a life-long Chicago-lander, and she currently lives in the “extreme” Northwest suburbs (also known as cornfields). She and her husband have two daughters in middle school and a pretty awesome dog. She works for a company that partners with universities to put their programs online. She oversee two departments: Course Development and Student and Faculty Support Services. 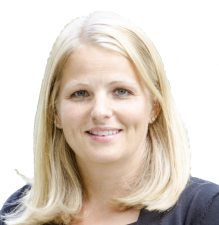 For the last twelve years, Amy has been working in online higher education, primarily in the leadership and management of course development, educational technology, and student support services. Her true passion in education is the development of online courses and the implementation of educational technology. While she has a good understanding of many concepts of educational psychology and educational technology, she’s come to this program because she wants to expand that knowledge and use theory to thoughtfully inspire her practice and research. Ha Thanh Nguyen is an international student from Hanoi, Vietnam with a background in English Language Education. She became a full time student at Michigan State in 2011 after 3 years of teaching at Vietnam National University. While her research topic is still evolving, she always find herself somewhere in the realm of new literacy, visual literacy, creativity, and social semiotics in the context of technological development, globalization and cultural diversity. James Seaman is an architect who specializes in the design of school environments. He works for the company Fielding Nair International whose work extends globally. He finds his work very exciting and he really enjoys collaborating with educators and administrators in designing environments that foster student-centered learning. 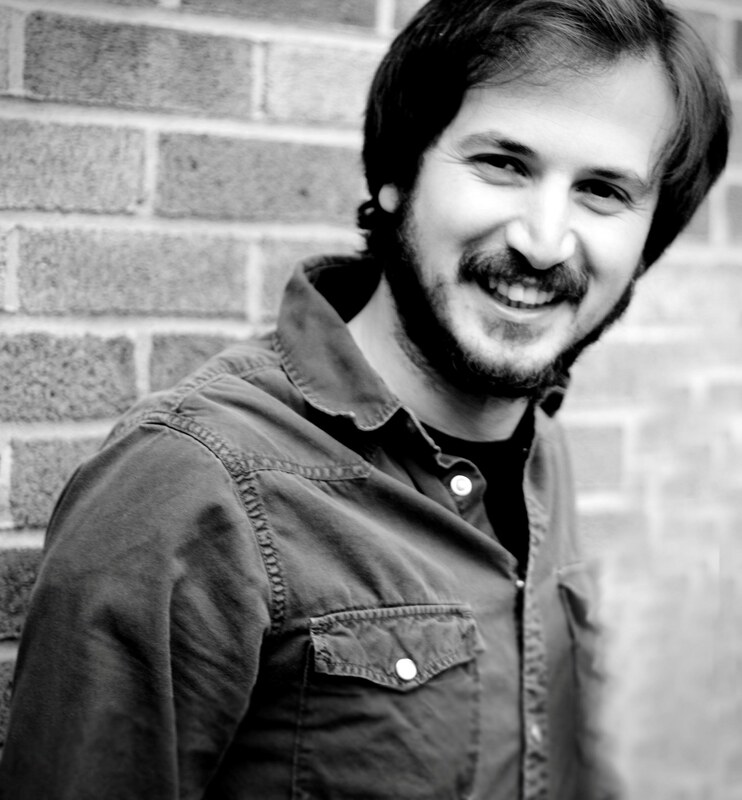 James grew up in Saginaw, Michigan but moved to the Detroit area to study architecture at Lawrence Tech. He has remained in the area ever since, working for a couple of different architecture firms before settling into his current position. At the previous company he worked for, James met his wife—an interior designer. They just got married last summer and recently bought a mid-century modern house in Huntington Woods (a Detroit suburb) that they are still having a blast renovating despite all the hard work. James is interested in researching the effect that physical space and school organization have on learning in a world where information can be accessed from anywhere and at anytime. Aanii! (Hello) Barb Smutek resides in the beautiful Upper Peninsula of Michigan in Sault Ste. Marie, where she was born and raised. She is a member of the Sault Ste. Marie Tribe of Chippewa Indians. Barb has a degree in Administration from Central Michigan University and a degree in Communication from Lake Superior State University. She was recently hired by the Michigan State University Extension office in Chippewa County. In her new position, as Extension Educator, Barb is responsible for implementing a Federally-Recognized Tribes Extension Program grant for Native tribes located in Northern Michigan. She also has an amazing three year old daughter named Adriana! Barb was initially drawn to the Hybrid EPET Ph.D. program because of the opportunities provided by the cutting edge technology being utilized by the faculty and students. She is passionate about higher education opportunities, accessibility of academic opportunities for Native American populations, the motivation and resiliency of Native people, and the impacts on learning styles using different forms of technology. She hopes to learn and conduct research on indigenous logic models, research design and evaluation for Native populations, and try to figure out how to turn all of these passions/interests into a viable research question. 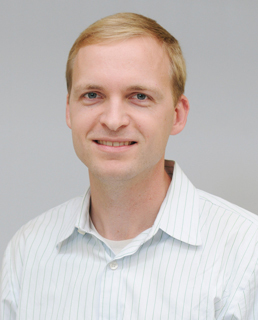 Colin Terry is a doctoral student in the Educational Psychology and Educational Technology Hybrid Program. He currently lives in Colorado and serves as the Director for the Center of Academic Services & Advising at the Colorado School of Mines. Prior to MSU, he studied at New York University and Gonzaga University. Colin is deeply interested in the relationship between technology and attentional control. As part of this research he considers the impact of media multitasking and distraction on self-regulatory behavior, metacognition, and creativity. Christopher Fahnoe currently works for a K-8 district of 5,000 students in Arlington Heights, Illinois. His current role is Director of Technology and Assessment and he is finishing his fourth year. Chris has only worked in District 25 during his career and has been a middle school teacher, curriculum developer, elementary principal and now his current position. He is intrigued by both the physiological and psychological aspects of learning. He also has an interest in leveraging technology to improve learning experiences for all members in our district. Chris is seeking both rigor and innovation in this program and many of the participants have been recommended with high regard. So he is looking forward to being a learner amongst the motivated, intelligent, creative, artistic, and driven. Chris’ other areas of research interest: The relationship between wanting kids to be curious/participatory/innovative online and how that balances with Internet safety and security. Also, he is interested in examining the perception of the 'virtual' worlds (online, 3D, gaming) between adults and young children and what that means for future authentic social experiences (for example, is it really 'virtual' to kids?). Molly Frendo works for Michigan State University Extension on campus at MSU in the field of volunteer and staff development. She also teaches online Anthropology courses for Muskegon Community College. Her research interests include using technology to enhance staff/volunteer development, experiential online education for youth, and collaboration within virtual communities. Angela Johnson has been a Michigan educator for 20 years: 6 as a middle school media specialist and 14 as a high school English teacher. She is interested in exploring the topic of information literacy-- the changing nature of information in a technological world and how we teach students the skills for navigating this complex new world effectively. As a community college instructional designer with extensive teaching experience, Tracy Russo is interested in learning environments that foster flow, play and transformative across all age groups. Connecting real-world complexity to classroom teaching and learning via curriculum design and technology greatly interests her, particularly regarding current concerns such as sustainable building and renewable energy. She looks forward to the challenge of not only researching possible solutions, but to learning new ways to communicate these solutions. Chris Sloan currently teaches high school English and media at Judge Memorial in Salt Lake City, Utah. In his Ph.D. research he is examining knowledge co-construction and what motivates students to engage in social argumentation. Chris chose this Hybrid EPET program because it provides a rigorous course of studies with expert faculty while he’s still able to remain teaching and learning in his research base. Tim Xeriland has been teaching for fourteen years and he enjoys it tremendously. He currently has four degrees: psychology, philosophy, neuroscience, and computer programming, but he is always studying and learning new things. Teaching is great because he constantly hears fresh ideas from his students. For the past eight years, he has also worked as an instructional designer. That means Time solves problems. Any problem that prevents students from learning the course material can be addressed by an instructional designer. On another note, he loves to travel. He has been all over the world. In the past few years, he has been to India, Peru, Fiji, Vietnam, Kenya, China, Australia, Nepal, Costa Rica, and Ireland.